Sydney Shop Girl: Where Art Thou Wagon Wheels? That's the question for you today, readers. I paraphrased 'Romeo and Juliet' because right now, a local supermarket without Wagon Wheels is a tragedy of Shakespearean proportions. I looked everywhere. The biscuit aisle, the chocolate aisle and even the impulse purchase section right in front of the cash registers but to no avail. According to the Arnotts website, Wagon Wheels are still part of their product line but not at Coles, it seems. Perhaps the youth of today no longer relate to country and western imagery the way us children of the 80s did back in the day. My green obsession relates to a work fun day where the theme colour is green and for which I am in chrage of prizes. Thankfully, I managed to get the rules relaxed a little so that even if a food wasn't green, it could still be part of the prize pool if it had green packaging. It made me feel a bit nostalgic and just a little bit old when I realized that 2 snacks from my childhood seem to have gone into retirement but I soldiered on and kept my eyes peeled for flashes of green in the aisles at Coles. As all good supermarket snack runs should, I began in the confectionery aisle. 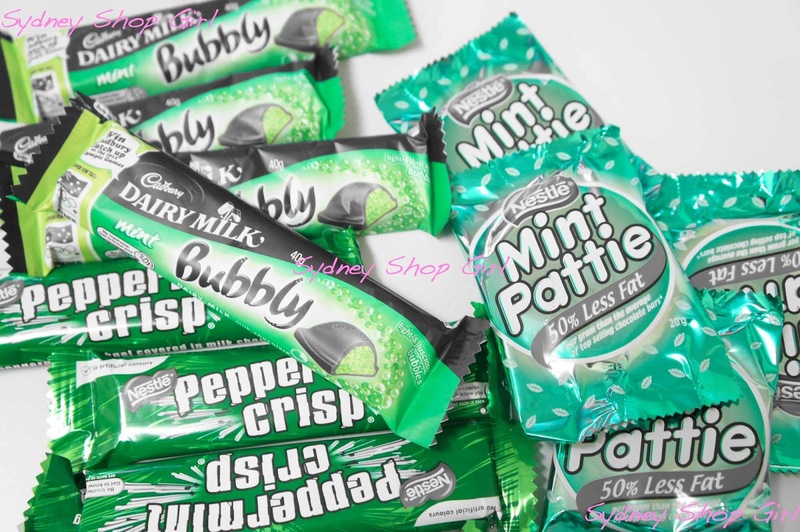 So many good, chocolate coated mint memories - Mint Patties andPeppermint Crisps as well as some new finds like Dairy Milk Bubbly. 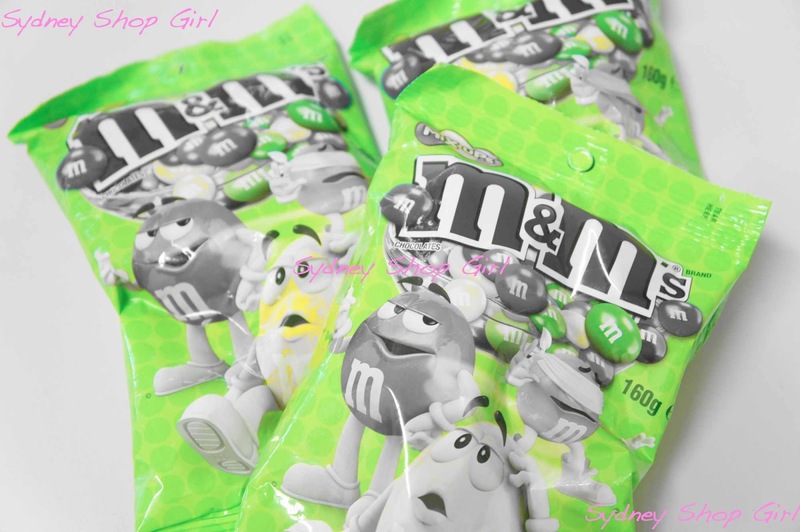 And to freak everyone out - non mint flavoured M&Ms in green packaging. Then up a bit to the biscuits for those good old Barbecue Shapes. 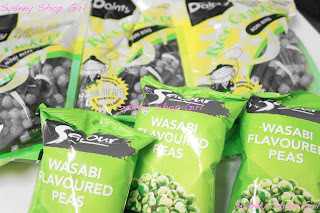 Before a quick scout around the Asian snack section, just to make it a bit multicultural. How did I go? 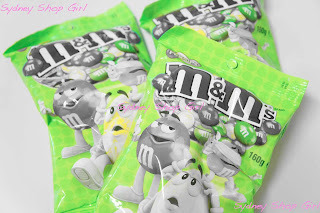 Did I miss out on any of your green favourites? Don't you just love how things happen at the darndest times? I've been struggling with today's post and the concept of blogging in general. Do I need to refocus, change direction, stop? Then, the universe intervened and I received an email from the Sydney Writers' Centre stating that I'd been nominated for an award for the blog. Voting begins in mid April but don't worry, I'll be sure to remind you all. I'm really flattered to be nominated and I think it's the push I need to persist and work through my current blogging brick wall. It's a sign. It ain't quite over for SSG. Congratulations - I am super excited about your nomination and am planning to vote as many times as is legally possible. Congrats on the nomination. Saw Wagon Wheels last night at Coles Chatswood Chase. I wouldn't be surprised at not finding a product at Coles. It has to be the worst supermarket for diversity. I stopped shopping there because its mostly all Coles branded products. Try Woolworths - its the lesser of two evils, they actually have different brands! it's funny I never seem to be able to find anything when I'm looking fora a particular item at the supermarket! Come home with everything but the one thing I went for haha! I hope you dont stop writing! You're like a lovely glossy magazine. A really posh one. And you'll get a magazine column one day. You've got my vote. I used to love the old milo bars - the ones full of the powdered milo. The new ones with just the little pieces of milo in them just don't quite cut it. And make sure you keep writing!! Yay for it not being over! Congratulations - you deserve it. I'll vote as many times as I can. 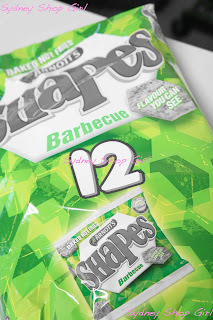 I love reading your blog and would be devo if you stopped. So there you have it. You must continue blogging, purely for my reading pleasure. I've not tried a milo sandwich but am still partial to a condensed milk sandwich. Peppermint Patties are one of my all time faves. Damn you! Now I want a wagon wheel and/or a milo bar! I didn't eat milo on bread but I did use to put so much into my milk that it formed more of a thick paste than a drink. Thanks for that MissD! Off to correct. I must admit, I never liked them. It was to do with the marshmallow part, I think. Meh. I loved milo though. I used to have close to 4 tablespoons with a dash of milk he he he. Never on buttered toast though, interesting!! Congrats on the nomination! I never had Milo on bread - I suspect we had Nutella instead. But Milo sprinkled over vanilla ice cream? Yum! Or Malt on ice cream, even better.